12 Lanes of Family Fun! We are located on Hwy 18 just 5 blocks east of Hwy 26 in Jefferson, Wisconsin. 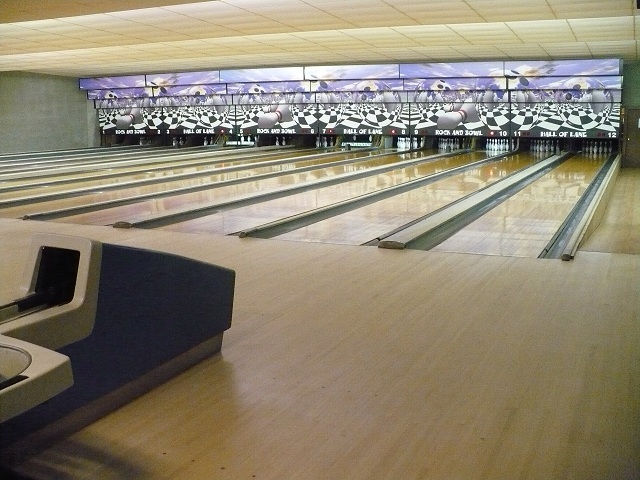 The new Rock and Bowl Hall of Lane was formerly Rue's Premiere Lanes. Every Wednesday from 6pm to 11pm bowl for just a Buck per game. Shoe rentals are also only a Buck! And if that's not enough, we have soda and beer specials. Due to upcoming tournaments & leagues schedules, Glow Bowling may either start later in the evening or won't be available. Please call ahead if you're planning an evening of Glow Bowling. The Rock And Bowl Hall of Lane website is currently under construction. For the most recent news and information, please visit our Facebook Page.